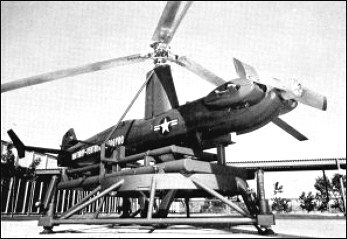 The Northrop NV-101 was an American target drone autogyro first flown in 1963. The Northrop NV-101 was powered by a McCulloch O-100 four-cylinder horizontally-opposed air-cooled engine providing a top speed of 270km/h and an endurance of three hours flying time. The Northrop NV-101 could also be adapted for surveillance operations.